We’ve had a lot of requests for a Las Vegas regional pinball map. But no one was into being the administrator, so we never added it (it seemed like all the people requesting it were visitors). But! Our Utah admin, Jeff, visits Vegas often and has taken the helm. Thanks, Jeff! Right now the region is listing only 5 locations, but 185 machines. The Pinball Hall of Fame is in Vegas, containing one of the most impressive collections of pinball machines in the world. Many pinball fans who visit Vegas stop by the hall of fame. But we know there has to be more machines scattered throughout the city. Many casinos have arcades, and some of those HAVE to have pins. 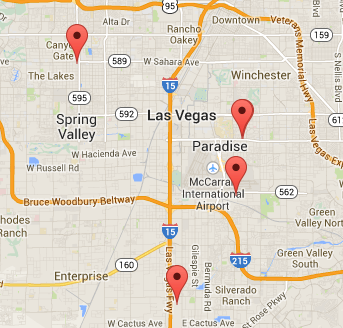 So, if you live in Vegas, or are visiting, do some scouting and then send new locations here. THANKS! Your contributions will help other pinball aficionados find the pins they crave.